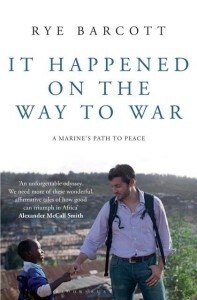 We will continue our discussion about the issues and insights gained from reading this moving memoir juxtaposing Barcott’s co-founding and leadership of Carolina for Kibera with his service in the Marine Corps in Iraq, Bosnia, and the Horn of Africa. Jim will share his insights with us! Chalice Children (ages 3-6): This Sunday the Chalice Children will share ideas and dreams of a new church home. U.U. Kids (ages 7-12): UU Identity – The UU Kids are exploring the people, ideas, and events that have shaped Unitarian Universalism. YUUth (ages 13-17): Merchants of Doubt – The YUUth will watch and discuss the documentary Merchants of Doubt examining pundits-for-hire who pass themselves off as scientific authorities on topics such as toxic chemicals, pharmaceuticals, and climate change.